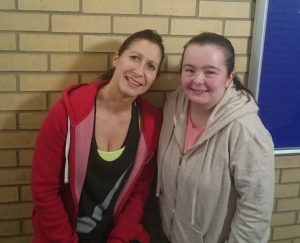 LD:NorthEast’s Health and Wellbeing Project recently supported Rebecca to take part in North Tyneside Council’s Weight Worries Programme and it’s been a huge success! Weight Worries is a free 12 week programme that combines lifestyle and healthy eating advice alongside beginner’s physical activity. Weight Worries focuses on easing you into exercise, at the right level. It also allows you to understand your body and achieve sustainable weight loss. Rebecca with Health & Wellbeing Officer Gillian Adam. To find out more about our Health & Wellbeing Project or our Personalised Support Service contact 0191 2622261 or info@ldne.org.uk.